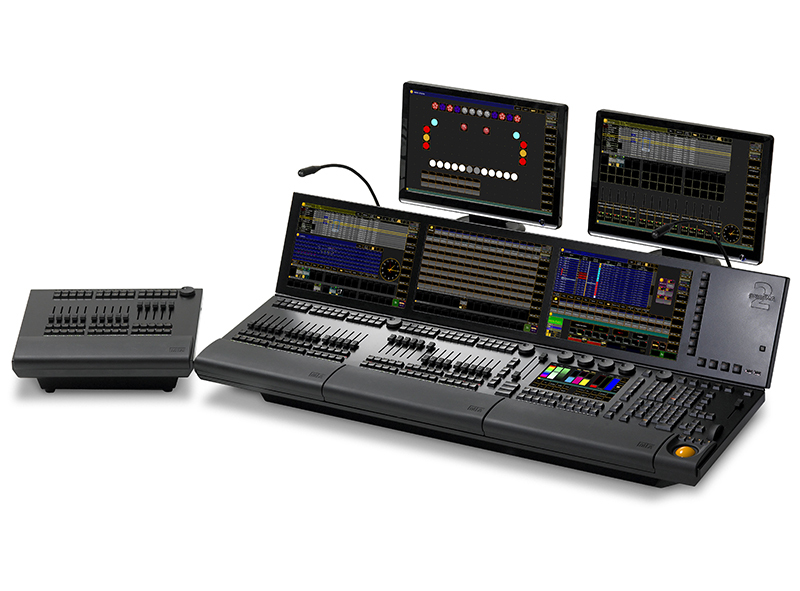 The grand MA represents MA Lighting’s most powerful console and offers the control of conventional light, moving lights, LED fixtures and media from on one platform. Equipped with the most up-to-date technology and even some special features (e.g. keyboard drawer and multi-touch command screen), the grandMA is suitable for all lighting segments and supplies an intuitive and fast control of all connected fixtures and channels. Furthermore the grandMA fader wing provides up to 60 extra motorized executor faders for an almost unlimited number of pages. Moreover grandMA ‘series 1’-showfiles can be converted to be used with the grandMA. And for yet easier operation, all command keys can be found in the same place on every console of the grandMA series. The grandMA offers extremely flexible and comfortable ways of programming, including nearly infinite numbers of presets, cues, pages, sequences and effects.